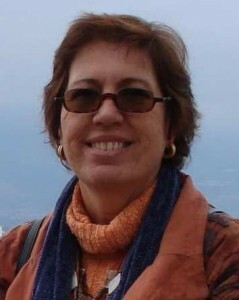 Carla Rosane Ouriques Couto, M.D. 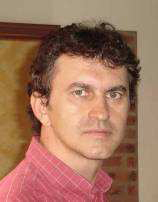 Carlos Alberto Lazarini, M.Sc., Ph.D.
My name is Carlos Alberto Lazarini and I was born in Marília, SP, in 27/10/1966, I am married (Flávia) and have two kids (Thaís and Victor), and I grow orchids as a hobby. I do not play any instruments and I do not sing. Some say I even speak off key. I enjoy art and painting. I am a Pharmacist and a licensed Biochemist (Clinical Analysis). I have both a Masters and Doctorate Degree in Pharmacology, and began my faculty career in 1988 in the disciplines of Physiology and Pharmacology. In 1991, I passed an exam to be a civil servant as RDIDP faculty at the School of Medicine of Marília – FAMEMA, which became a State Institution in 1994, where I work until today in teaching Pharmacology. In 1999, I became part of a faculty group in a “latu-senso” post-grad program in Psychotherapy and Psychoanalytical Orientation at FAMEMA where I am responsible for the Psychopharmacology module. I have already worked as coordinator and vice-dean of the Physiological Sciences Department at FAMEMA, as well as head of the Pharmacology discipline during two mandates. I was actively involved in the curricular change process at FAMEMA where I was coordinator, during two years, of the Nursing and Medicine courses. In 2004, I began to take part in a group of Evaluators of Grad Courses from the National Institute of Educational Research – INEP. In 2001, I was integrated in the Faculty Development Program together with the Permanent Education team of Medicine Professors, in the tutorial process (problem-based learning) at FAMEMA, until today. I also work as a researcher in the area of neuropsychopharmacology. In this area, I have supervised students in their scientific initiation (scholarship students at FAPESP and others) and for the Course Completion Work (TCC), both at FAMEMA and other institutions as well. For some years now, I have been working in the area of education with active learning methodologies. As a result of this activity, I was awarded with the Best Scientific Paper Award in the area of Pharmacology Teaching, at the Brazilian Pharmacology Congress. Cláudia Márcia Barreto, M.D., M.Sc. Project: Immunology – From the bench-top to the classroom. I was born in Maceió, on 20/01/1962. I completed my medical degree at the Federal University of Alagoas (UFAL) in 1985. I did my specialization in hematology and hemotherapy in Ceará (UFC/HEMOCE) in 1988/89. I obtained my title of specialist in pediatrics in 1993 and completed my Masters Degree in health sciences in 2003 and I am currently working on my Doctorate Thesis in pediatrics at UNIFESP. 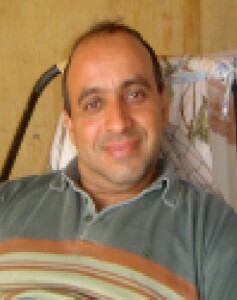 I was a substitute professor of hematology in 1995 at UFAL. I am currently an assistant professor of pediatrics at the State Health Sciences University of Alagoas (UNCISAL), since 2000. I coordinate the medical residency in pediatrics program since 2004. I am a member of the steering committee for coagulopathys from the Ministry of Health since 2005. I was head of the pediatrics department in 2007. I am presently the manager of internship at UNCISAL. I have worked as a hematologist from 1986 to 2006 at the Blood Bank in Alagoas. I am married and have 02 kids and I enjoy going to the beach, working out, dancing forró and samba as well as reading and going to the movies. Edna Regina Pereira, M.D., Ph.D.
My name is Edna Regina Silva Pereira, I am from Maranhão and was born in the little city of Buriti- Bravo. I went to Med School at the Federal University of Maranhão and I gradated in 1987 and did my residency in Nephrology at the Servidor Público State Hospital (completed in 1990), which was the year when my daughter was born, Camille. I moved to Goiânia (married to a goiano). I am an Adjunct Professor at the School of Medicine at the Federal University of Goiás since 1992. I got my Doctorate Degree in Nephrology at USP (São Paulo – SP) – hypertension in chronic renal disease (nothing to do with medical education) and finished in 2000. After my return to UFG, I began to get involved in medical education, by coordinating the Clinical Medicine discipline, and I am presently coordinating the internship program for 2 years now. 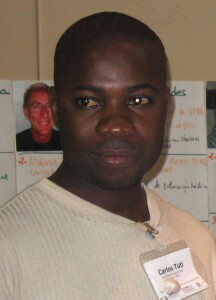 I took part in PROMED activities and I am currently working in Pró-saúde. On my spare time, I enjoy reading, going to the movies and traveling to Pirenópolis in Goiás. Francisco das Chagas Medeiros, M.D., M.Sc., Ph.D.
Dr. Medeiros is an Adjunct Professor at the Department of Maternal and Children´s Health of the School of Medicine at the Federal University of (UFC) since 1992. Since then, he is a professor of gynecology and obstetrics as well as Human Reproduction, at the Grad level. Since 2005, he began to be part of the Masters Degree in Tocogynecology as a supervisor and with 4 dissertations until now. At a Post-Grad Level, he lectures in education in ObGyn – new breakthroughs and practice. He was Vice-head of the Department from 2005-2007 and is presently the head of the Department for 2007- 2009. He is also head of Nursing in ObGyn at the Maternity School Assis Chateaubriand (UFC) and vice-coordinator of the Medical ObGyn Residency of the abovementioned Maternity, and was general coordinator during many years there. Presently, he is a member of the Resident Assessment Commission of the Student Hospital Walter Cantídio and the Maternity School Assis Chateaubriand (UFC). Since 1998, when the School was changing and modernizing the curriculum, he had the opportunity of getting involved in “Medical Education” which was quite far from his reality – “I became quite interested and progressively began to participate in many courses and workshops promoted by my School in the area of medical education, even in some immersion courses at Marsctricht where we received orientation from Professor Stwart Mennin, with whom I worked with quite closely”. He than took on the position of Coordinator of a gynecology module where he has been applying and studying active learning methodologies, role playing, learning based on clinical cases and others. He is avidly interested in teaching clinical skills and communication in Gynecology. During the last few years, Dr. Medeiros has been implementing new practices (OSCES) in admission of new residents. For some months now, he has been working as Head of the Department and was invited to implement a skills curriculum. He enjoys working and learning and this is extremely useful in the School work. He is also member of the Thematic Work Group on Gynecology and Obstetrics of the Regional Council of Medicine for the State of Ceará, Member of the Brazilian Federation of ObGyn Professionals and Founding Member of the Brazilian Society of Endocrinology and Climaterium, Member of the Brazilian Association of Medical Education, Member of the ad hoc editorial board of the Brazilian Journal of Medical Education and member of the editorial board of the Brazilian Journal of Health Promotion of the Edson Queiroz Foundation (ISSN 1806-1222). 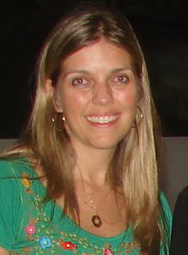 Izabel Cristina Meister Coelho, M.D., M.Sc., Ph.D. I was born in Rio de Janeiro and moved with my family to Curitiba in 1970. I am Physician graduated from the Federal University of Paraná (1989), with a Medical Residency in General Surgery at the same University (1992) and a Residency in Pediatric Surgery at the Pequeno Príncipe Hospital Complex (1995). In 1999, I obtained my Masters Degree in Clinical Surgery (1999) and in 2003, my Doctorate Degree from the Federal University of Paraná, and received, along with my thesis, the award for best paper from the American Society of Parenteral and Enteral Nutrition (ASPEN) in 2004. I work in the Liver Transplantation Team from the Pequeno Príncipe Hospital Complex since 2000 and worked as an observer at the Multi-Visceral transplantation services at the University of Miami in 2001. I also work as a surgeon at the Emergency Unit of the University Hospital of Paraná. I am a professor of the Medicine course since 1998 and due to the growing interest I have taken on the coordination of the Medical Internship Program in 2004. Presently, I am the coordinator of the Medicine Course at the School of Medicine of Faculdade Evangélica of Paraná, in Curitiba. In my experience as an Educator, I became a specialist in Change Process Activation for Higher Education Training of Health Professionals promoted by MH/FIOCRUZ/UNIDA Network (2006). I have also worked as a tutor invited by ENSP/FIOCRUZ, at the same Activation Course and I have actively participated in courses and conferences in Medical Education, always updating my knowledge and know-how. I am the author of various texts and book chapters. I am a mother, 46 years of age and I love traveling, swimming and dating and anything related to the sea. Lucélio Bernardes Couto, M.D., M.Sc., Ph.D.
Lucélio Bernardes Couto was born on February 18th 1963 and is a graduate of Pharmaceutical Sciences from the University of São Paulo (1988). Has a Masters Degree in Psychobiology from the University of São Paulo (1993) and a Doctorate Degree in Psychobiology from the University of São Paulo (1998). Presently, he is a professor at the University of Ribeirão Preto in the Medicine, Dentistry, Pharmaceutical Sciences, Physiotherapy and Nutrition Courses. Dr. Couto has experience in Pharmacology and NeuroPharmacology, also working with neural-degenerative disease, such as Duchenne Muscular Dystrophy. He gives University Extension and Specialization Courses in Pharmacology and Drug Interactions. He also works as a ‘strictu-sensu’ Post-Grad supervisor in Biotechnology of Medicinal Plants and Microorganisms at the University of Ribeirão Preto, and has supervised various Masters dissertations in this area of interest. He is the Coordinator of the Experimental Animal Laboratory and is responsible for the Commission for Research and Communication from the Medical Course of UNAERP. He is a tutor, lecturer, consultant within the Medicine Course with the PBL model. His hobbies are music and spending time with the family. 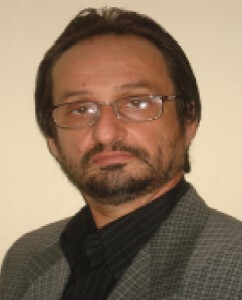 Luís Fernando Farah de Tofoli, M.D., M.Sc., Ph.D. I am from São Paulo and live in Ceará since 2002. I am married to Flavia and I am the father of Mateus Tomé (6 years) and Isabela Clara (3 years). I enjoy photography, art and literature, although I have read fewer books – non-technical – than I would have like to. I also love to draw and it is something I do during class in order to concentrate on what is being said (go figure…). As far as my training is concerned, I am a Medicine Graduate from the University of São Paulo (1996), I have a medical residency in Psychiatry (2000) from the Psychiatry Institute from the University Hospital from USP and a Doctorate Degree (Psychiatry) also from USP (2004). Presently, I am an adjunct professor at the School of Medicine of the Federal University of Ceará, in the Personal Development Module, focused on topics related to interpersonal relationships and human communication. I am a critical defender of SUS and the Brazilian Psychiatric Reform. I have already advised the mental health teams and given institutional support to the Comprehensive Mental Health Care System in Sobral. I have experience in the area of Collective Health and Mental Health in the Primary Health setting, Somatization and Psycho-Social Care, mainly dealing with the following topics: mental health in primary health care, inter-disciplinary mental health, somatization and psycho-social care. I am an enthusiast of Health Education, and I believe that the opportunity of participating in FAIMER Brazil will be a wonderful experience to dive deeper into this world and to be an apprentice. I hope to concentrate on communication skills and the use of the portfolio in medical education for adults in the primary health care setting. Luiz Roberto de Oliveira, M.D., M.Sc., Ph.D.
Born in Baturité – CE, 57 years ago, Dr.Oliveira got her medical degree from the Federal University of Ceará (today is the School of Medicine) – 1970 to 1976. He did his Medical Residency in Cancerology – Head and Neck from the National Cancer Institute, Rio (1977 to 1979). He obtained his Masters Degree (Gastric Surgery) at UFF (completed: 1981). Moved back to Fortaleza and became part of the Department of Surgery at FM/UFC (CNPq scholarship), performing both surgical and faculty activities, also working with experimental micro-surgery. A Civil Servant (September 1982) working in the category of Assistant Professor I, Discipline of Technical Basics in Surgery and Anesthesiology (Department of Surgery – UFC, 40 hours per week). He created the Head and Neck Service of the University Hospital Walter Cantídio (UFC). He was admitted as an emergency surgeon at the José Frota Institute, where he worked for six years. Dr. Oliveira worked as a volunteer physician in the outpatient clinic of the Cancer Institute of Ceará, with Head and Neck cases. In the beginning of 1986, he begins his Doctorate Degree in General Basics of Experimental Surgery, in Botucatu – UNESP, defending his Thesis in 2001 (experimental microsurgery, awarded with the Afredo Monteiro Award from the Brazilian College of Surgeons). He returns to his activities in medical school by implementing a Masters course in Surgery. Has been the head of the Computer Science Lab for six years at the University, trying to implement an IT and Communication Plan in health at UFC, working with Educational Technology and Tele-Health. He put together the first ever video-conference room on Campus and coordinates the National Tele-Health Project in Ceará (13 points installed), dealing with Tele-Cardiology and Tele-Dermatology. He still represents UFC in the RUTE Project, and is part of the Executive Committee. In the FAIMER Program, he is aiming at implementing a Specialization Course in Family Medicine in the Tele-Health setting. His interests are the inter-relations between IT and health, medical education and he has also created the Technical Work Group on IT and Health from the Regional Medicine Council of Ceará – CREMEC. Marcelo da Silva Sechinato, M.D., M.Sc. My name is Marcelo da Silva Sechinato and I was born in Mogi Mirim, interior of São Paulo, in 1972. I was raised in the city of Guaçu where I still have some emotional ties. In 1992, I passed my Med School entrance exams in Itajubá and my first experience with faculty life was when I was approved to be a monitor in the Histology course, and one of the monitor activities was to provide guidance to students regarding the slides that would be analyzed in class the next day. With my experience in histology, I decided to do my residency in Pathology, and at the end of the program, in January 2000, I was hired as faculty staff to teach Pathology, Histology and Embryology. In 2001, the institution created the Ethics in Research Committee and I was invited to be part of this committee. In the same year, the faculty responsible for the Bioethics discipline decided to leave the institution and I was invited to take on the Research Ethics classes. Due to my performance, I was also invited to take on all the classes of the discipline. In August of 2004, I entered the Masters Program in Bioethics at the São Camilo University Center in São Paulo in 2005. When I began this new chapter, Sarah, my partner in crime, got pregnant and we had a little girl named Beatriz. In December 2006, I defended my Masters Thesis entitled: “The opinion of a group of Medical School professors from a private University in Minas Gerais about patient autonomy.” Presently, I am an avid fan of Bioethics and I love to read (history and geography) and watching films, although I have little time to go to the movies. 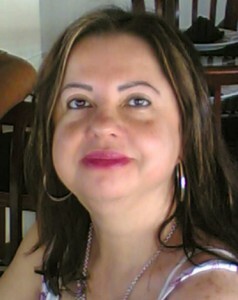 Maria José Pereira Vilar, M.D., M.Sc., Ph.D.
My name is Maria José Vilar, and I am 49 years-old, married and I live in Natal. I am a Med School Graduate from the Federal University of Rio Grande do Norte (UFRN) (1982). I did my Medical Residency in Clinical Medicine and Rheumatology at the Hosp. Servidores do Estado – HSE – RJ (1983-1986), and I obtained my Masters and Doctorate Degrees (1993-1998) in Rheumatology at UNIFESP. I was an assistant physician with faculty activities at UFRN beginning in 1987. Since 2001, I have worked as a Professor of Rheumatology at UFRN. I am an active Member of the Brazilian Society of Rheumatology in the Epidemiology Commission (2004/2006) and in the Teaching Commission (2006/2008). I am also an effective member of the Medical Education Center for the Med Course at UFRN. I am also a supervisor for Masters and Doctorate students enrolled in the Health Sciences Post-Grad Program at UFRN, working with Health Science and topics relating to epidemiology, clinical medicine, diagnosis and therapies for Rheumatology. 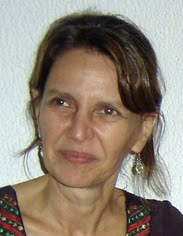 Maria José Salles de Faria, M.D., Ph.D. I am from Ribeirão Preto, and graduated in Biological Sciences from the State University of Londrina (1988). I obtained my Masters Degree in Genetics – Mcgill University (1993) and Doctorate Degree in Biological Sciences (Genetics) from the University of São Paulo (2001). Presently, I am an adjunct professor D at UEL in Embryology. I work with research projects regarding the potentially toxic effects of agents used in embryonic and fetal reproduction and development. I also work as a coordinator in the Commission of Permanent Faculty Education in Medical Courses. I am also the mother of André and Alexandre. Maria Viviane de Vasconcelos, M.D., M.Sc., Ph.D.
Maria Viviane Lisboa de Vasconcelos was born in Maceió (Alagoas), Brazil. She graduated in Medicine in 1977 from the Federal University of Alagoas. She is a Specialist in Pediatrics 1978-1979, and in Pediatric Nephrology from Santa Casa de Misericórdia in São Paulo together with Dr. Julio Toporowiski (1980-1982). Dr. Vasconcelos was part of the faculty in Pediatrics at the School of Medical Sciences of Alagoas, (1986-1989). She coordinated the implementation of the Masters Program in Children´s Health, along with a partnership with the Federal University of Sergipe. She has a Masters Degree in Cildren´s Health (1995-1997) and a Doctorate Degree in Pediatrics from the Med School of Ribeirão Preto/University of São Paulo (1999-2003). She has always been involved in Medical Residency programs in Pediatrics, and has been a supervisor in Pediatrics and Coordinator of COREME/HU/UFAL during 1990-1994. She is a supervisor of the pediatric 6th year internship program and she is a preceptor of pediatric residents. 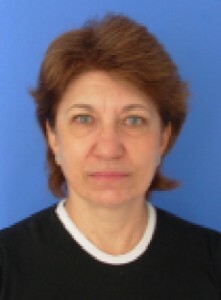 She is head of the Clinical Pediatrics Department of HUPAA/UFAL since 1995. She is also a member of the Curricular Development Commission and Coordinator of the Evaluation Commission of Teaching and Learning at FAMED. Presently, Dr. Vasconcelos is a tutor of first year med students (morpho-physiological basics). She was an effective member, during two terms, of the Brazilian Society of Pediatrics in the Pediatric Nephrology Department as well as the Post-Grad WG. She has a special interest in medical education and student assessment, faculty development and scientific production. In pediatric nephrology, her special interests are urinary infection, urinary disorders, renal mal formations and hypertension in childhood. Mariangela Cainelli de Oliveira Prado, M.D., M.Sc., Ph.D.
My name is Mariangela Cainelli de Oliveira Prado. I am from Santo André (São Paulo), and I was born on 25/02/1953. I graduated in Medicine from the Medical School of São Paulo (EPM – presently known as UNIFESP), in 1977. I did my residency in pediatrics in 1977-1979, at EPM. I obtained my masters in epidemiology at EPM, supervised by Prof. Dr. Myriam Bruna Debert Ribeiro, with the following dissertation: The height of adults in the workforce of São Paulo: a study of some bio-social correlations. My doctorate degree was in Epidemiology in 2002, supervised by Prof. Dr. Victor Wusch Filho, defended at the School of Public Health from the University of São Paulo, with the following thesis: Distribution of mortality due to breast and cervical cancer in some selected districts in the City of São Paulo. I worked with the Health School Center from the School of Medicine of São Paulo from 1980 to 1996, working as a pediatrician and coordinator of epidemiological surveillance and technical director. In 1996, I was contracted as a professor of Epidemiology from the Department of Preventive Medicine of EPM, and I work there until today. I always seek to interact with other cultures and new points-of-view. I had the experience of spending some time in the National Park of Xingu during with the native Indians, where I learned a lot about diversity and differences and the lens of epidemiology allowed me to see inequities. This new learning, my experience and history has all led me to realize that education which promotes individual and collective potentialities is the way to build a society which is more just, democratic and is has more solidarity. I believe that this is what brought me to FAIMER. Marina Romanello Giroud Joaquim, M.D., M.Sc. 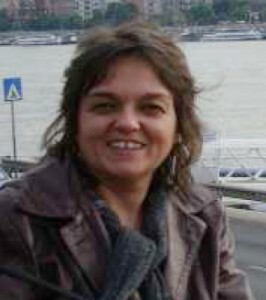 Marina was born in 1961 in São Paulo, Brazil. She graduated from the School of Medicine of São Paulo – UNIFESP in 1987 and did her residency in anesthesiology in 1990, and continued her activities as a residency preceptor until the next year. She finished her Masters in 1997, in Anesthesiology, Pain and Surgical Intensive Therapy. Dr. Joaquim got married in 1992 to Eduardo Henrique Joaquim, and they had two children, in 1996 and 1998. She was hired as a physician, by the Cancer Hospital, from 1994 to 2004. Presently, she works as a faculty staff in Anesthesiology at UNIFESP and is part of the Faculty Staff responsible for Medical Practice with first year students. She is a collaborator in the Skills and Attitude Assessment Process, applied to fifth year med students. She is also in her first year of the Faculty Development Program at the FAIMER Institute Brazil. Patricia Tempski Fiedler, M.D., M.Sc., Ph.D.
Paulo José Medeiros de Sousa Costa, M.D., M.Sc. 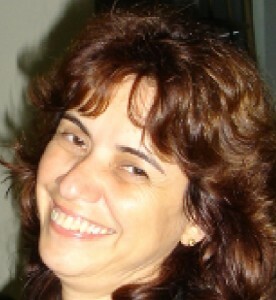 Regina Maria Lugarinho da Fonseca, M.D., M.Sc., Ph.D. I am from Rio de Janeiro and I am a very easy going mother of two marvelous children. I love people, and my little dog, I love talking and studying, watching films and TV programs on cable, reading, listening to music and going out with friends. I am a graduated physician and associate professor at the Federal University of Rio de Janeiro – UNIRIO, where I am also responsible for the discipline of Genetics I, for third-year students and I also responsible for the Genetics module of the Masters and Doctorate Programs in Neurology. I supervise scholarship students in Scientific Initiation, Extension and Monitoring. They are great students! I completed the following Post-Grad Courses: Medical Residency in Clinical Medicine (Andaraí Hospital – INAMPS), Masters in Genetics (UFRJ), Specialization in University Administration (a Program from the University Leadership and Management Institute – InterAmerican University Organization and the Council of Brazilian University Deans), Doctorate in Genetics (UFRJ), Specialist in Homeopathy Course (1 year) and Change Activation Course for Health Professionals and training of Tutors. From 1991 to 2000, I held the following administrative positions at UNIRIO: Coordinator of Post-Grad and Research, Head of the Post-Grad Teaching Division, Director of the University Entrance Exams Coordination Center, and Vice-Dean. I learned a lot with all this experience, specially learning a lot more about my institution. I work extensively in the Brazilian Association of Medical Education (ABEM). I was the Executive Director at ABEM and for the National Forum of Health Professions Education – FNEPAS. In January of this year, I was named as Sub-Project Manager of the Creation of the Participative Methodology Center of the REUNI Program from UNIRIO. I´m very excited to participate in FAIMER activities! Rosa Malena Delbone de Faria, M.D., Ph.D.
Project: Health Care focused on the patient – how to learn what we imagine we know? I am a native of Itarana–ES, married to Roberto and mother of Carolina, Augusto and Alberto. My personal preferences are: family, people, medical education, music, winter and traveling. I am a Hematologist and obtained my medical degree from UNIFESP, where I am a faculty for 15 years now, and I am presently a professor at the School of Medicine at UFMG, with activities in the graduation, post-grad and extension programs; I am also responsible for the service to patients with Multiple Myelomas and Hodgkin´s Lymphoma at the Hematology Service of the University Hospital of UFMG; a member of the Scientific Council of the International Myeloma Foundation Latin América, Coordinator of the Medicine Course at the School of Medical Sciences at UNIFENAS-BH, an associate member of the Brazilian Association of Medical Education and the National System for Higher Education Evaluation. Suely Grosseman, M.D., M.Sc., Ph.D.
Suely was born on 06/02/1958, in Campos (Rio de Janeiro), and ha lived in Rio de Janeiro from 1962 to 1984. She has a 17 year-old daughter and is divorced. She became, in 1981, a medicine graduate from the Federal University of Rio de Janeiro (UFRJ) and did her Residency in Pediatrics at IPPMG (UFRJ). She moved to Florianópolis in 1984, and worked as a pediatrician at the University Hospital of the Federal University of Santa Catarina (UFSC) and at the Joana de Gusmão Children´s Hospital from 1985 until 1994. She obtained her Masters Degree in Maternal-Children´s Health from the Institute of Child Health (London University) from 1988 to 1989 and a Doctorate Degree in Production Engineering and Ergonomics from UFSC. Since 1994, she has exclusively worked as a professor in the Pediatrics Department. Dr. Grosseman wrote the book “From the desire to the reality of being a physician: medical education and practice as a continuous process of individual and collective construction”, where medical education is extensively addressed. She took part in the construction of the new curriculum of the medicine course at UFSC and provided consulting services, together with professor Lea das Graças Camargo Anastasiou, in the construction of the curriculum of the medicine course at UNOCHAPECÓ. She was part of the post-grad program in medical sciences at UFSC, masters and doctorate, with research in health education (and medical education) and maternalchildren´s health. Her hobbies are: arts and crafts, dancing and teaching tap dancing in 1984. 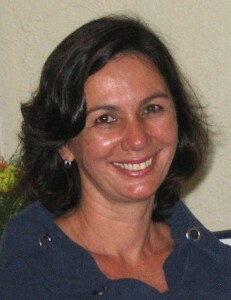 Valéria Menezes Peixeiro Machado, M.D. I was born in São Paulo-1954, and lived in Ribeirão Preto-SP for 20 years. I began my medical studies at the School of Medicine of Jundiaí -1975, and graduated in 1980. I participated in the Academic Representation of Residents. I worked as a pediatrician in Itu –SP, during Dr. Sebastião de Moraes´s mandate, (beginning of the AIS), and I felt the need to study more Public Health and did my specialization at UNICAMP (83-84). I worked as a public health advocate at SES-SP, in Botucatu. When the UNI Program began in1992, I was working at DIR-Botucatu, and was designated as Head of the Regional Outpatient Clinic, making the bridge between the service and University, facilitating the multi-professional activities involved in the outpatient setting. I also took part in the Evaluation Group from UNI until 2001. During this period, I had the opportunity of being trained in innovative methodologies, with professors from Maastrich (cooperation between Brazil-Holland). I began my faculty career at the Medical School of Jundiaí and later at Ribeirão Preto-UNAERP, where I organized and coordinated a Rural Internship Program. Later, I collaborated with the implementation of curricular changes with the use of innovative learning methodologies at UNAERP, where I implemented the Integration Program of Health in the Community – PISCO. I participated in the organization and implementation of the Medicine Course at UNICID, where I worked until 2004. Presently, I am vice-director of the Medicine Course at UNICID, and I coordinate the Integration Program of Health in the Community – PISCO, along with an evaluation group. The dreams and the story are old, but the achievements are quite recent! I am married and I have 3 kids, one who is 24 (recently graduated from law school), another one who is 20 (medical student-UNICID), and a twelvetear- old (a chip of the old block). And a 4 year old grandson! My husband is a physician-surgeon, and we work together at UNICID (course director). When I was younger, I was an athlete, but decreased my physical activity at university. Currently, I do not exercise. I enjoy the theater and fine arts. Valéria Góes Ferreira Pinheiro, M.D., M.Sc. 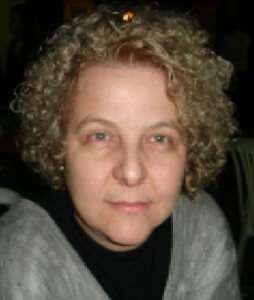 Valéria is a Medicine Graduate from the Federal University of Ceará (1975), and got her Masters Degree in Pneumology from the Federal University of Rio de Janeiro (1984) and Doctorate Degree in Pharmacology from the Federal University of Ceará (2003). Dr. Pinheiro is an Adjunct Professor III at the Department of Clinical Medicine at the School of Medicine at UFC where she coordinates the Pneumology and Thoracic Surgery module. She has also been the Vice-Coordinator of the Grad Course in Medicine from the Federal University of Ceará. She has experience in Medicine and Pneumology, mainly with: tuberculosis, micobacterium, smoking, occupational lung disease such as silicosis. She has been quite dedicated to Medical Education, mainly in Pneumology. She supervises the monitoring program in Pneumology in the Department of Clinical Medicine at UFC. She participates in research activities at the Clinical Research Unit & Biomedics Institute from the Global Health Center at the Federal University of Ceará doing work with “surveillance obstacles in HIV patients with tuberculosis in Ceará” Presently, she is an advisor to the Regional Council of Medicine in Ceará, as well as member of the Commission for Specialist Titles and is part of CREMEC. 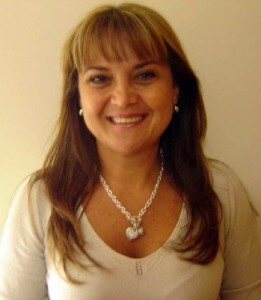 Valéria is a member of the Teaching Department from the Brazilian Society of Pneumology and Tisiology 2006- 2008. She is also a member of the Metropolitan Committee for the Fight Against Tuberculosis as a representative of the Federal University of Ceará. She is now a retired Pneumologist from the Ministry of Health since August 2007. She is the mother of 3 kids, Paula, João Vitor and Pedro Henrique. She does not sing in public but enjoys going to the movies, reading and talking to friends and family. If she could, she would travel all the time. Valquiria de Lima Soares, M.D., M.Sc. Valquiria is from Alagoas and completed her graduate degree in medicine in 1988, at the School of Medical Sciences of Alagoas, currently know as the School of Medicine of the State University of Medicine of Alagoas (UNCISAL). She did her residency in Clinical Medicine (1989 -1990), and obtained her specialization in gastroenterology (1991) and did her masters in Public Health from NESC – Study Center of Community Health from the Aggeu Magalhães Institute (FIOCRUZ, 1997- 1998). She began her faculty adventure in 1991, initially in medical physiology and later on in parasitology. For 4 years now, she is coordinating the Medicine Grad Course at UNCISAL, with the purpose of helping with the curricular changes in compliance with the National Curricular Guidelines. Dr. Soares is quite passionate about her faculty activities and obtained a specialization in Medical Teaching in 2001, from the Federal University of Alagoas, with a program developed and given by the Center for Development and Higher Education – CEDES/UNIFESP. She loves reading a good book, watching a good film and chatting with good friends. Valquiria also enjoys going to the beach and seeking inspiration from the crystal blue waters of the sea in Alagoas. She likes to dance in order to deal with this ever-changing world, an activity which helps to feel, think and do. Vera Therezinha Medeiros Borges, M.D. I am Vera Therezinha Medeiros Borges, and I was born in Paranaguá-PR, but I was raised in Ribeirão Preto, and my family is all from São Paulo. I got my doctor´s degree from the School of Medicine from Botucatu – UNESP in 1990. I did Residency and Post-Grad in Botucatu and I fell in love with the area and began to live there. I am a faculty at the Department of ObGyn from FMB-UNESP, and teach Obstetrics since 1996. I have been participating in the medical education debate since my graduation (I was a member of the Academic Center), and have been working in management positions. Presently, I coordinate the Evaluation of Institution Front, vice-coordinator of the Internship Commission, member of NAP (Pedagogical Support Center), preceptor of Medical Residency in ObGyn and a member of the Commission for the Elaboration of Skills Assessment Exams for Medical Residency. I am currently single, and I enjoy movies, traveling, photography and chatting with friends. 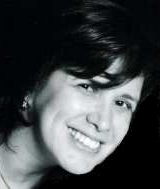 Vera Lúcia Garcia, Speech Therapist, M.Sc., Ph.D. I am married to Claudio and the mother of Felipe. I was born in São Paulo and live in Botucatu (SP). I love spending time with my family and friends, traveling and taking care of my orchids and roses. I am a speech therapist graduated from the Federal University of São Paulo – School of Medicine of São Paulo, in 1986, and completed my masters (1996), doctorate (2001) and post-doc (2007) in Human Communication Disorders. I held the Specialization Course in Activation of Change Processes in Higher Education for Health Professions and worked as faculty in Speech Therapy courses since 1990, initially at the University of Sagrado Coração and later at the School of Dentistry of Botucatu at the University of São Paulo. I have been working since June 1994 with the group dealing with School Health from the Department of Public Health from FMB/UNESP. In 2007, I was contracted by the Foundation for Medical and Hospital Development to teach the course of the Interaction between University-Service-Community offered by the School of Medicine from Botucatu – UNESP to 1st and 2nd year med students. I was a professor-collaborator for the Collective Health Discipline in the health planning module for 3rd year med students at FMB – UNESP. 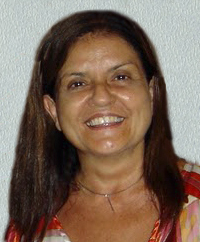 I am a Member of the Board 2006/2009 – Member of the Permanent Teaching Commission from the Brazilian Association of Speech Therapy and the National Forum of Health Professions Education. I also took part in the Research Group on the Development of Technology for Primary Health Care Setting (CNPq). Portuguese and Spanish (currently taking English classes).